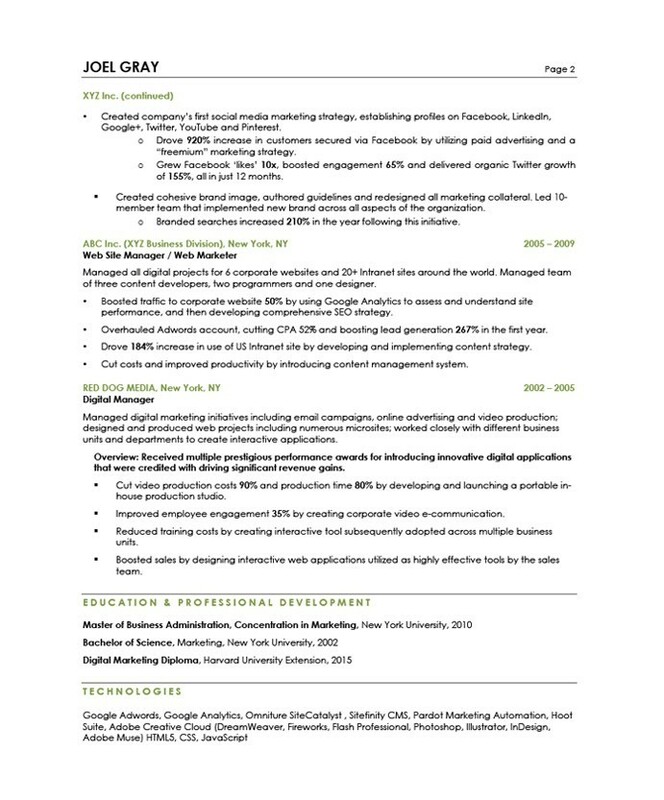 This digital marketing resume sample shows exactly how to grab attention from the very first word. 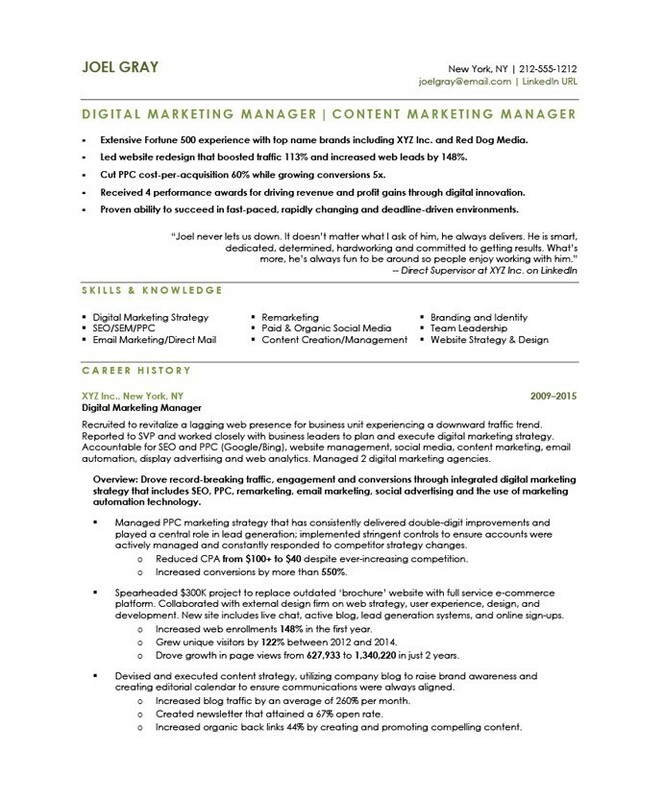 Our client was a digital marketing manager who had a strong history of results. But his existing resume was too short and didn’t provide enough detail on those results. 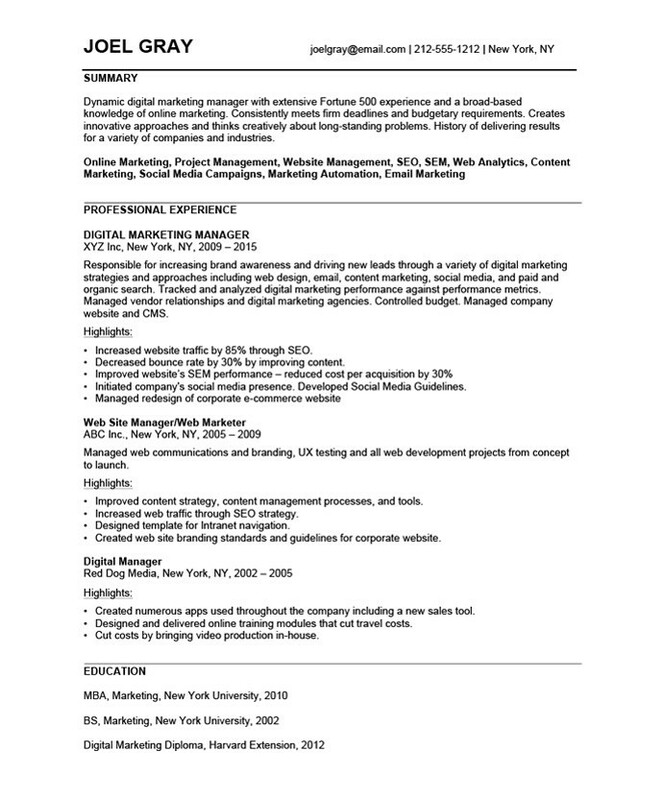 We rewrote his resume to include numbers in the introduction (a very important strategy to start your resume with a bang (LINK to POST)). We then included a keyword summary that includes the most important digital marketing skills. We also added a quote from LinkedIn to give third-party evidence of his success. And finally, we spelled out his impact in powerful, action-packed bullet points. As a digital marketer, you are fortunate that you can measure your success – be sure to use lots of those numbers in your resume as they really do make a difference.